Learn how to apply strategic foresight in a complex and uncertain business environment. What is the future of your industry? How are you managing the external changes and disruption in relation to your internal capabilities and capacity? How can you apply strategic foresight into strategic management? The session will be interactive and practical, with key insights about the future of industry. Strategies to navigate the new normal. Gain strategic insight into the future competitive landscape in the sector and how to win. Marius is a faculty member at the Gordon Institute of Business Science. He teaches leadership, strategy and ethics. He oversees the Future of Business in SA project which uses strategic foresight and scenario planning to explore the future of South Africa. His focus is on looking at the future of key industries and sectors within the South African economy, within their larger political and social context nationally, regionally and globally. He has studied leadership and ethics, systems thinking and social change theory, forecasting, scenario planning, strategic planning and change management and enjoys helping leaders think about the future in ways that integrate strategy and ethics. Marius is an experienced lecturer and public speaker, and teaches in the areas of strategic foresight and anticipatory management, scenario planning, leadership and strategy, ethics and systems thinking. He enjoys working with leaders from across the private sector, public sector and civil society on understanding complex problems. R2500 pp includes masterclass materials, arrival and morning refreshments. 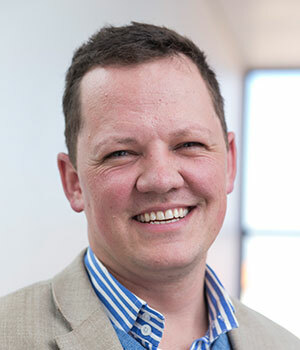 ​Marius Oosthuizen is a member of faculty at the Gordon Institute of Business Science, University of Pretoria, South Africa. He teaches leadership, strategy and ethics, and heads up the Future of Business Project that uses strategic foresight methods to explore the future of South Africa, Africa and BRICS. Marius is a previous participant of the Oxford Scenarios Programme at Saïd Business School, University of Oxford, UK. He holds a Masters in Strategic Foresight from Regent University, Virginia Beach, USA. He is currently writing a PhD proposal on Integrative Public Leadership, and completing a Masters in Applied Social and Political Ethics. Marius has worked with business leaders, policy makers and civil society activists using his expertise in stakeholder dialogue, scenario planning, strategic foresight and systems thinking to create future-orientated strategy. He is a member of the Advisory Council of the Association of Professional Futurists and recent participant in the London-based School of International Futures, as well as a recent contributor to the European Strategy and Policy System, the foresight think tank of the European Parliament. In his capacity as a consultant, Marius has worked within the following sectors; IT, financial services, insurance, agriculture, manufacturing (chemicals), warehousing and logistics, oil and gas, international relations, social development, tourism, city and regional planning and mining engineering.